While it seems that there is little that Republicans and Democrats see eye to eye on, one area of bi-partisan agreement centers on retirement reform. Many Americans are in dire financial straits and a potential retirement crisis looms in the future with longer lifespans, little saved for retirement and potential Social Security benefit reductions creating a potential perfect storm for future retirees. Thankfully, public servants of all stripes realize the need for action and somewhat surprisingly have found a lot of common ground. There are several bills that have been introduced in the past year aimed at improving the retirement situation for the average American. Many of these bills will not make it out of committee but two recent bills are gaining some attention in the media and in the halls of Congress: Senate bill S.2526 and House bill H.R. 5282. 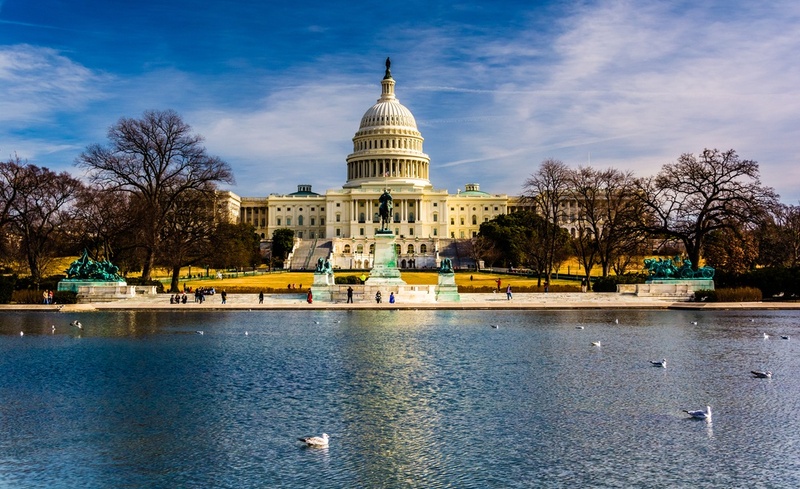 Both bills, named the Retirement Enhancement and Savings Act of 2018, were originally introduced in 2016 and then reintroduced in March 2018 and are currently in committees with expectation that they will be discussed in the fall. Both bills are identical in their provisions so let’s take a closer look at some of the more notable items up for consideration. Multiple Employer and Pooled Employer Plans (MEPs and PEPs) – The bills propose changes that would make it easier for small businesses to offer retirement plans through a Pooled Employer Plan (PEP). The bills would remove some of the current barriers that require the businesses in the MEP to have some shared characteristics such as being in the same trade group or subsidiaries of the same company. This would open up the possibility that more small businesses could offer a retirement plan through a PEP, helping keep the costs low for each employer while providing access to employees to a retirement plan. Employees of small businesses are among the groups with the least access to a workplace plan so the benefits of such changes for both small businesses and employees seem promising. The bills also remove the “one bad apple” stipulation that would disqualify a MEP if one of the participating companies failed in their fiduciary or administrative duties. If passed, MEPs and PEPs would not automatically be disqualified simply because one of the participating employers failed in their obligations. Increased Tax Credit for Small Businesses Starting a Plan – To incentivize more small businesses to offer retirement plans, the bills would increase the startup tax credits offered to small businesses to as much as $5,000 for the first three years with an additional $500 for small businesses including auto-enrollment as a plan feature. Retirement Plan Lifetime Income Options – Lifetime income options, long the hallmark of pension plans, are not commonly offered within defined contribution plans. The bills propose several changes that will make it easier for plans sponsors to offer lifetime income options within the plan. These changes include requiring annual lifetime income projections to plan participants as well as providing lifetime income safe harbor options to plan sponsors: lifetime income options that have been approved by state regulators falling under the safe harbor definition. Traditional IRA Contributions at Any Age – On the consumer side, these are several changes affecting IRAs in particular. The bills would repeal the age limitation on traditional IRA contributions allowing IRA owners who are older than 70 ½ to continue to contribute to their IRA. However, age 70 ½ is still the age owners are required to begin taking RMDs. Changes to Stretch IRA Distributions – A more controversial provision of the bills would alter current regulations outlining the distribution of inherited accounts, both defined contribution plans and IRAs. Under the proposed changes, any account balances over $450,000 would be required to be completely distributed within 5 years of the account owner’s death. Regardless of how you feel about any one of these proposed changes, it is heartening that Congress is willing to take the initiative to improve the retirement outcomes of the average citizen. We can also be encouraged that there is much common ground that can be found in these areas, hopefully increasing the possibility that Congress will enact something that will benefit retirement outcomes. It may not be the fix to Social Security that we all want and need but hopefully a step in the right direction.